“Join us for a rare celebration where we return to the source, to what inspired us in the first place. Our home is in the underground.“ - from the inaugural leaky roof No Way Back in 2007. We're celebrating 11 years since the first No Way Back in Detroit, and our 8th edition of the party in Brooklyn. 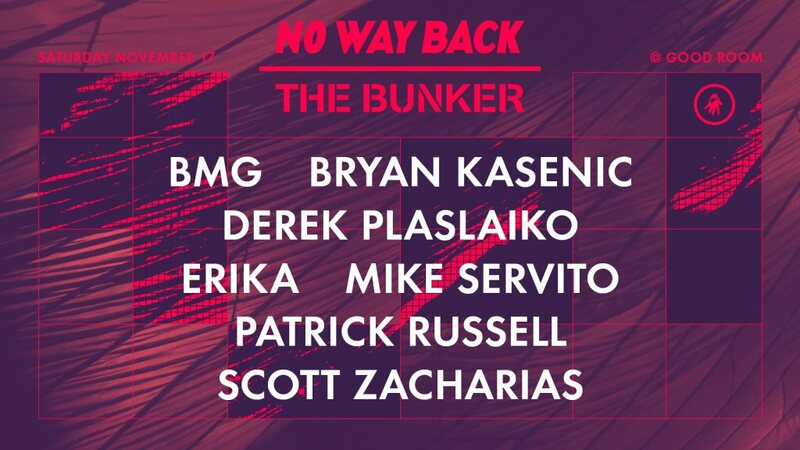 The No Way Back New York edition has moved to a different venue nearly every year, going from Public Assembly to the PA Loft to 285 Kent to Trans Pecos to Market Hotel. This year will be the second time we host it at Good Room, which has served as the home base for many of The Bunker's larger events for the past three years, and did a wonderful job hosting the party last year. Every DJ chosen to play at No Way Back is a master of their medium, so deep in it that they all serve as constant inspirations. This is a celebration of the lost art of the late night Midwestern DJ. 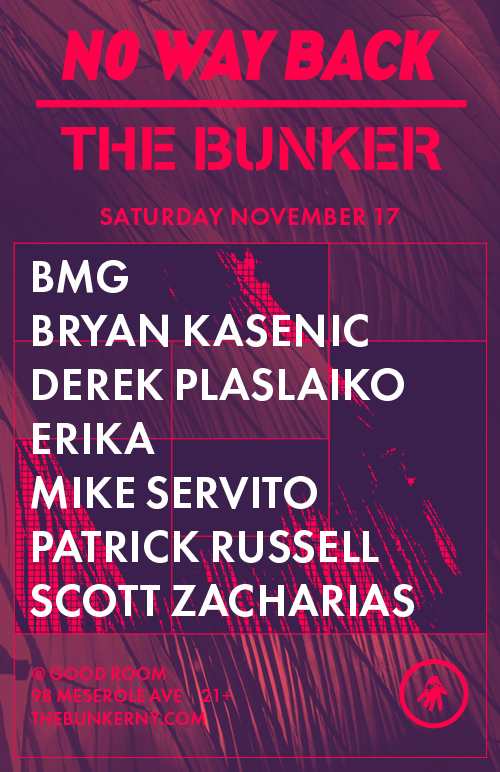 This is what makes the collaboration between Interdimensional Transmissions and The Bunker so effortless, as they both are champions of this, with The Bunker residents like Derek Plaslaiko, Mike Servito, Patrick Russell and Bryan Kasenic being long time IT collaborators. This year also marks the first time that Scott Zacharias, a long time part of the Detroit NWB parties, joins us in NYC.